I recall reading a few years ago about some USA govt. "contest" for incandescent-to-LED replacement bulbs, and the winner was a $50 bulb sold by Philips. A bit rich for my blood back then (I was fighting with CFL's). As the CFL's (and a few incandescents still left) die, the LEDs are taking over here at Camp Chaos. I recently learned a hard lesson when I quickly grabbed a 4-pack of 60 Watt equivalents without checking the color temperature spec. Arrgh....funky bluish color, so those bulbs are relegated to a closet or stairwell. Too many decades with that lovely yellowish incandescent color has seriously skewed by eyeballs. LOL! The new GE A19-series are pretty good too. I bought several recently to use in the basement and attic to replace the last of the CFLs. The GE are in most grocery stores now. We cross-posted and I was about to say: My advice to you Brian is experiment with getting the color temp right. But you brought it up ahead of me. LOL. GE have a 5000°K "daylight" version which I bought to experiment with. As I expected they were too harsh for general lighting so I put them in the attic. I only burn them a few minutes every month or so when I change the AC filter. But, when I do turn them on its like daylight in the attic. Almost like an arc light color temp and feeling like I'm in an X-files episode. I later bought some for the basement which thankfully I visit even less. I also bought a pair of the GE warm white for the hall bath and they've been reliable. That fixture is a little challenging because the lamps are recessed in square glass tubes with little circulation. For general lighting I try to buy 3000°K whenever possible because its not too yellow like 2800 and not too hot like 4000 and 5000°K. But 2800 was what my wife liked in the hall BR. I put 4000°K TOGGLED T8s in the garage and the 4000° is about right for work lighting. My nextdoor neighbor's house is a "modern" "MCM" 1960s-era style house with uplights in front. She went with 5000°K night time lighting and its a thing of beauty. Most landscape lighting is 2800 or 3000 for that Thomas Kinkade look. As a side track, my Mom, age 90, still lives in the house I grew up in (Okla City). She has been running it by herself for years as my stepdad slowly faded due to dementia and then passed away this year. Mom has stock piled a huge supply of GE ("a good brand", she insists) 40/60/100 Watt incandescents. Every time I visit, she has me up and down a ladder to replace the dead soldiers. "But, Mom...you need LED bulbs. They last longer and save you energy". Mom: "I hate the color of those new bulbs!" BTW, at age 90, Mom still has most of her brain intact She is just set in her ways. Maybe she likes to see you...... LED bulbs would make your visits less necessary. I've had one (out of eight) of my toggled® T8 LED garage lights fail. Not a hard failure but an occasional flicker off then back on. I made toggled aware of it on Monday and by Thursday had a new replacement that they shipped to me in my hands. I think it has a bad internal connection where one of the bi-pin terminals solder to the internal flex circuit. That particular pin doesn't exit the tube exactly straight so this looks to be an assembly problem. The D416-40311 T8 LEDs look great in the garage. I've had them for just about a year. I don't miss the long warm-up and flickering of the florescent lights at all and just updated two T8's to toggled in the basement. Now there are only two florescent lights in the entire house and they're grow lights for the greenhouse. The grow lights are due to replaced as soon as I find some old heatsink/fan assemblies for some "chip on board," "COB," direct-wire-to-120V lamps. My computer desk lamp LED bulb just went flaky... intermittently blinking off... not completely broken but annoying as hell. It blinks off so briefly that it is more noticeable when you are not looking at it directly (a weird eye thing). I still have the box it came in, supposed to last 13 years.... bzzt fail. Last edited by JR. on Mon Mar 18, 2019 7:31 pm, edited 1 time in total. I lost an el-cheapo Utilitech that was in the shower overhead. IIRC that one was 2 for $9.95 and its been in there at least a couple of years under near-continuous use. it shares a circuit with the overhead in the same bathroom so it was used a lot. The base plastic physically cracked so I bet the steam got it. It can't breathe too well in that fixture so I'm not surprised. There is a good reason for that... customers steal, especially expensive items. No company wants to add extra packaging since Packaging Costs Money! But sometimes it has to be done at the request of the retailers. I had worked on consumer product packaging at my day job for more than 20 years, and we have a small item that was sold in a simple cardboard box in hardware stores for many years. No complaints on the packaging. Then we got the item in The Home Depot and it wasn't long that they complained that the item was being removed from the box and pocketed by dishonest customers. We went to a hard plastic clamshell that snapped together. No good. The item could still be wedged out the side by a determined person. So we had to add people to the production line with heat-seal pliers to melt dimples on the sides and top to secure the package. Now you have to cut it open with a razor or powersaw The extra labor and packaging we would not use otherwise and it costs us money that we should not have to spend. So it goes. Led light bulbs... they do not put out as much light as CFL and incandescents, even when rated the same. I suspect that the way that the light is measured to claim equivalence with a standard bulb is not thorough enough to tell the whole story. 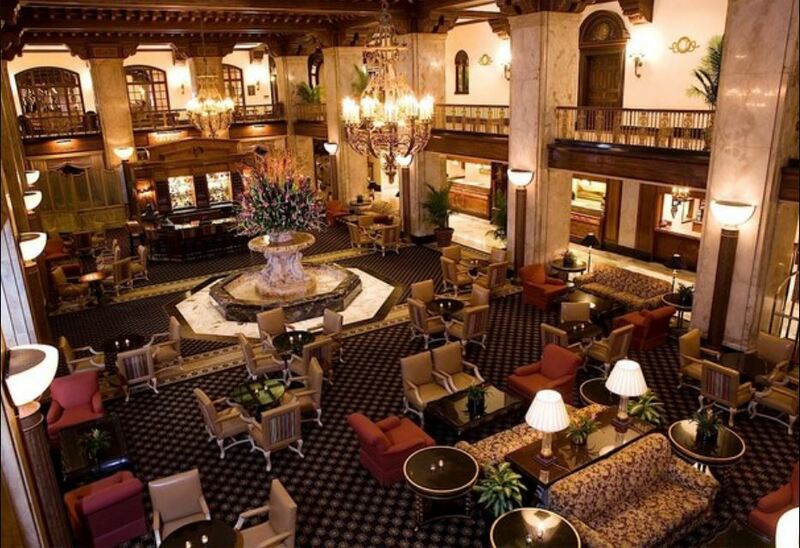 An incandescent bulb will fill a large dark space with light... a CFL a little less so, and an Led bulb much less. It is easy to see the difference. The lumens may be the same in a test that is conducted close to the bulbs but once you put it to work, the Led falls short. Here in my office, I had to use a 100w LED bulb to make my office as bright as the previous 60w incandescent. Furthermore, the cheap no-name bulbs sold in the big box stores are unlikely to meet their rated brightness and have been found to be significantly over-rated. Your experience may vary from this observation. Jacko - I think the difference you observe may be related to the total illuminated power versus the peak illumination. The incandescent having a lot more area under the spectral curve due to broader emissions and the LED spec'd at is narrower peak. What made me think of this is an FFT analog. Maybe the eye has a power response, instead of peak like the ear. Too bad they don't seem to be making them anymore. Or maybe the bulb manufacturers are using the different measuring methods to lead us into thinking the new bulbs are all that. 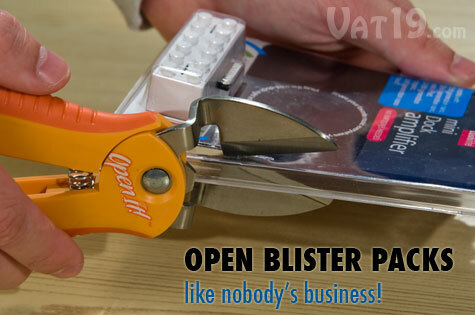 I have one of these to open clam shell packages: https://www.vat19.com/item/openit-plast ... -opener#! We recently switched the packaging to a clear plastic bubble glued to a cardboard back. The cardboard has heat sensitive glue so you drop the product into the plastic bubble which is face down in a jig, then place a card on top. The jig has a heat press that swings down onto the item to activate the glue and hold the bubble to the cardboard. It is easier for the customer to rip open but less likely to be torn apart in the store (although I occasionally see a package like this that has been opened by a customer). It's cheaper than a clamshell and almost as secure (but not quite). Since the manufacturer bears all of the cost of this (and Home Depot or Walmart bears none), it is a small win for our side.